ANCEL J. - ASTIER J. - AYOT P. - BACHOFFNER A. - BARDET M. - BESSE J. - BLEUSE J. - BOCHE E. - BOLLE M. - BORYS J. - BOTZ R. - BRUBACHER J. - CLARKE J. - CLEMENT R. - COIC L. - COLMAIRE A. - CORNEN J. - COSSON E. - DELIERE J. - DELOOF R. - DEVILLERS R. - DOURSENAUD D. - DUBOURG A. - DUFOUR J. - DUPONT R. - DUPUIS G. - EHRET M. - EVENO A. - FERAGU J. - FERRAGU J. - FILY H. - FONTANEAU J. - FOUGEROUX R. - FOUQUET A. - FREMY G. - FROLIGER R. - GARAUD J. - GASTAUD E. - GAUDRY S. - GAUTIER E. - GAUTIER L. - GAZEL C. - GEORGES L. - GEULIN A. - GODESSART P. - GONTIER J. - GOSSIEAUX R. - GOURRIBON R. - GOURVES R. - GRANGE R. - GRAVE R. - GREBOVAL A. - GRELINGER A. - GREMONT J. - GROSJEAN J. - GROSSE A. - GUIGNOT R. - GUILCHER H. - GUYADER J. - GUY E. - HAMBSCH J. - HEBERT A. - HEMAR M. - HENNINGER C. - HENO A. - HERVE A. - HEYRAUD J. - HINGANT J. - HOLLET A. - JACOBY P. - JAFFRY F. - JAOUEN F. - JEANNOT R. - JOUGLA M. - JOURNAUX P. - KERGOAT F. - L' HONORE F. - LABAT P. - LACOMBE C. - LAMANDE G. - LAMAQUE L. - LANGENFELD H. - LAVIE J. - LE BEC J. - LE BIDEAU Y. - LE BOUSSE H. - LE CHEVERT F. - LE CORRE E. - LE DEM A. - LE FAOU G. - LE FRANC J. - LE HOUEROU J. - LE NOTRE H. - LE ROUX F. - LE STANG J. - LEBAS R. - LEGRAND E. - LELIEVRE C. - LEMERRER Y. - LEMONNIER R. - LEON A. - LEOQUET J. - LEOST R. - LIRON J. - LORANT A. - LUCAS C. - LUCINI L. - MALHOMME R. - MANTEL L. - MARAIS E. - MARTIN A. - MARTIN G. - MASSALOUX A. - MAXORIL Y. - MAZZA A. 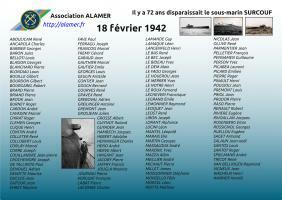 - MEILLIER (ou) MEILLER A. - MICHAT J. - MICHAUT P. - MILLET J. - MONSELLO F. - MONTBORGNE G. - MONTREUIL B. - MOTTE M. - NICOLAS J. - NICOLAS R. - NORMANT J. - OLIVE R. - OLLIVIER M. - ORTOLI P. - PARDOEN A. - PARMENTIER J. - PAUCHET F. - PELLE J. - PENNAMEN G. - PERSON Y. - PETIT-DEMANGE R. - PICABEA L. - PICARD A. - PIERRE R. - PIERSON H. - PINAULT H. - POGGIOLI J. - PORSMOGUER L. - POTTIER M. - PREMONT L. - PRESSE J. - PRIOL J. - PRUDOR P. - QUINTARD R. - RASO P. - RIHN E. - RIVIERE E. - RIVOALLON J. - ROSENBERG E. - ROSSIGNOL G. - RUELLOU E. - SAGET A. - SALAUN J. - SALMON L. - SANTOS L. - SANTOT R. - SONNEVILLE P. - SPIELMANN A. - SUINAT J. - SYLVESTRE A. - TESTA J. - THENARD R. - THOMAS J. - TRICOT R. - TUDAL J. - VANBELLINGEN R. - VIGNEUX J. - WACHEUX H. - YEQUEL J.
Août : DE BELOT F.
Janvier : LE BERRE A.
BAUDELET J. - CABANIER G.
Octobre : LE GOUIC E.
AUFFRET F. - BARAZER F. - BELLEC J. - BELLEC ?. - BENEZY M. - BERNARD J. - BLEURE J. - BODENES H. - BOUCHE M. - BOUILLE G. - BOUYER R. - BRIAND L. - BRISARD L. - BUNEL G. - CARBONNIER H. - CARIOU F. - CASTEL R. - CAVADINI M. - CHARLES L. - CHATTON J. - CHAUMONT A. - COAT J. - COHAT J. - COMANDRE E. - CONAN F. - CORNEC J. - CORRE J. - DAOUDAL A. - DONVAL Y. - DUCHET A. - FECHANT A. - GAUDEC J. - GEORGES L. - GIRARD E. - GODE A. - GOZON G. - GRAND M. - GRENET M. - GUEGUAN J. - HAMON M. - HAMON Y. - HELIAS E. - HUBERT A. - JACOBY P. - JAEGER G. - JAFFRY F. - JAOUEN P. - JONAS L. - JOURNEAU P. - KERAUTRET E. - KERBRAT A. - KERGONNA P. - KERVERN V. - LAGATHU T. - LAMY A. - LARRER J. - LE BLOCH H. - LE BRETON G. - LE BRIS Y. - LE CAM L. - LE CHEVERT F. - LE COUAIL M. - LE DUFF A. - LE FLOCH C. - LE GALL J. - LE GALL P. - LE GOUIC E. - LE MEITOUR J. - LE MEUR A. - LE MEUR F. - LE NOTRE H. - LE ROUX F. - LE SAYEC J. - LE TIRILLY M. - LEFEVRE L. - LEGALL Y. - LEJAMTEL A. - LEZIN N. - LISSILLOUR E. - MALBEAUX F. - MANACH J. - MARECHAL A. - MARTIN P. - MASCORIL Y. - MAUDIRE Y. - MAZE J. - MENGUY P. - MERIEAU M. - MIEGEVILLE J. - MIGNON F. - MIGNOT A. - MILLOT A. - MINGANT P. - MORDELIT A. - MOREAU A. - MOREAU G. - MORVAN Y. - MOULLEC Y. - NICOLAS E. - NICOLAS J. - NOEL E. - PAUL F. - PAYOT A. - PELLEN F. - PERROS J. - PERSON J. - PERVES J. - PICHEVIN L. - PRIGENT R. - PRISER P. - QUEAU P. - QUERE H. - QUERE J. - RAGUENES H. - RAGUENES L. - RENAUD E. - RODIER M. - ROGEL P. - ROIGNANT A. - ROUAN A. - ROUAULT L. - ROUAULT P. - ROUZEVAL P. - RUELLOU E. - SAUNEUF H. - SAUVAGE G. - SCHAEFFER G. - SCOARNEC R. - SEMELIN J. - SIMON J. - SPARFEL P. - TANGUY A. - TANGUY J. - TARDIVEL L. - TATON E. - THELIER G. - THOMAS H. - THOMAS P. - THOMAS R. - THORAVAL T. - TREGUER M. - VAUTIER G.
Janvier : ANDRE M. - CROGUENNEC J. - HAMON J. - LE CORRE J. - MARTEL J. - MOLK A. - PHELEP E. - TULOUP E. - VARLET G.
Mars : BUGERE P. - CAOUS J. - FRITZ E. - LINA P. - MALADIERE A. - THOMAS F.
Avril : LE BRETON L. - VOISIN M.
Juillet : MARTEL J. - MARTIN P.
Septembre : BONNET G. - DIGNAND C. - FOURCROY J. - GOUZLAY C. - GUILLOU J. - HAMET A. - RAYMOND M. - SIMON M. - VIGOUROUX P.
Octobre : FREMIN J. - THOMAS M.
Novembre : ALIX A. - BACLE M. - BERDER Y. - BLEUNVEN C. - BOUCHER A. - DURAND E. - FAHE R. - FICHEUX J. - ITIER A. - JEGOU F. - LE BRETON C. - LEGUY E. - LEUCHANT D. - LOYER R. - MILLIARD A. - PAINSARD R. - REVE A. - SEIZE J. - TAILLADE J. - TREVIAN G. - VOYEUX A.
Décembre : FERIOT L. - GACHOT J. - GUELLAEN Y. - KEREMPICHON P. - KEROMNES L. - MARTEL J. - PRALY R. - PROVOST M.
ANDRE M. - AUFFRET F. - BARAZER F. - BASSICOT P. - BEQUIGNON F. - BERNARD J. - BIDEAU ?. - BLEUSE J. - BOUILLAUT P. - BRIAND L. - CAOUS J. - CATHERINE A. - CLEUZIOU R. - COGAN P. - COMBOT P. - COMMAULT V. - CONIL F. - CRESCENT - DANIEL Y. - DAOUDAL A. - DIGNAND C. - DONVAL Y. - DOR A. - FECHANT A. - FLOCH J. - GACHOT J. - GAUDEC J. - GODE A. - GOGE C. - GOURLAY C. - GRAND M. - GROGUENNEC J. - GUILLOU J. - HAMBSCH J. - HAMET A. - HAMON J. - HAMON M. - HELIAS E. - JACOBY P. - JAEGER G. - JAFFRY F. - JONAS L. - JOURNAU P. - KERAMPICHON P. - KERAUTRET ?. - KERBRAT A. - KERGUS P. - KEROMNES L. - KERVERN V. - LAGATTU T. - LAURENT M. - LE BIDEAU Y. - LE CORRE J. - LE DUFF A. - LE FLOCH C. - LE GALL J. - LE GALL P. - LE GALL Y. - LE GOFF J. - LE MEUR A. - LE MEUR F. - LE NISTOUR R. - LE NOTRE H. - LE NOUY E. - LE ROUX F. - LE STER H. - LE VOT E. - LECHEVERI F. - LEGRAVERAND H. - LEGUY E. - LEJAMTEL A. - LEMOINE H. - LEZIN N. - LINA P. - LISSILLOUR ?. - MALADIERE A. - MANACH J. - MARCHAND Y. - MARECHAL A. - MASSICOT - MAXORIL Y. - MAZE J. - MELAY R. - MENEC A. - MEUDEC Y. - MIGNON F. - MINGANT P. - MOISSONNIER S. - MORDELET A. - MOREAU G. - MORICE A. - MORVAN Y. - MOULLEC Y. - NICOLAS J. - NICOLAS Y. - PAINSARD R. - PERROS J. - PETIBON Y. - PHELEP E. - PICHEVIN L. - POTTIER M. - PRALY R. - PRIGENT R. - PRISER P. - PROVOST M. - QUEAU P. - QUERE J. - REBOURS F. - RENAUD A. - RICHE P. - RODIER M. - ROIGNANT A. - ROUAULT L. - ROUAULT M. - ROUZEVAL P. - RUELLOU E. - SEIZE J. - SEMELIN J. - SEVESTRE J. - SIMON J. - TAILLADE J. - TANGUY A. - TANGUY J. 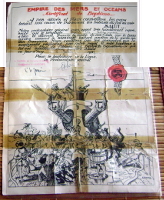 - THOMAS F. - THOMAS M. - TREGUER M. - TULOUP A.
Avril : EVENOU (alias) RICHARD J. - PELLETIER F.
Septembre : BLAISON L. - HORDÉ G.
Octobre : COINTIN A. - FAVÉ P. - LE BAS R.
Novembre : GUIYNOT R. - LE DANTEC M.
BACHOFFIER A. - BRUBACKER J. - CHARLOT A. - COIMAIRE - COSSIAUX R. - DUPONT R. - DUPUIS ?. - FAUSSE R. - FOUGEROUX R. - FOUQUET A. - GASTARD ?. - GAUDRY S. - GAUTIER L. - GOUESENAUD D. - GOURRIBOND R. - GRANGE R. - HETRAUT J. - HOLLE - HOLLET A. - LE BORGNE H. - LE FLOCH A. - LE ROL A. - LESTANG J. - LUCAS C. - PAUCHEY F. - PETIT DEHANGE R. - PIERSON - PORSMOGUER L. - PREMONT L. - PRESSE J. - PRIOL J. - RIVER J. - SALMON L. - STADLER R. - THIENARD R. - TUDAL J. - VAN BELLINGEN R.
Janvier : DRIVET M. - ROSSIGNOL G.
Octobre : BLAISON L. - COLLOBERT M.
Décembre : LE DEM A.
Février : ABOULICAM R. - ANCAROLA A. - BARBIER G. - BARON J. - BELLOTI L. - BLANCHARD P. - BLONDIAU L. - BOUILLE G. - BOURDON G. - BOURGAREL R. - BRARD P. - BRIAND P. - BROOK J. - BURNEY R. - CARDON A. - CAVADINI M. - CHIRAT R. - CLEMEN G. - CLIQUE H. - COINTIN A. - COLLOBERT M. - COLLÉTER R. - CORLAY M. - CORRE J. - COUILLANDRE J. - CROCHEMORE J. - DENOUEL A. - DETALLANTE (ou) DE TALLANTE P. - DEWITTE M. - DUCLOS J. - DUFOUR J. - DUFOUR J. - EHRET M. - EHRET M. - FAVÉ P. - FERRAGU J. - FERRAGU J. - FRANÇOIS M. - FREMY G. - FREMY G. - GARAUD J. - GARAUD J. - GAUTHIER M. - GAUTHIER M. - GAUTIER E. - GAUTIER E. - GEORGES L. - GEORGES L. - GEULIN A. - GEULIN A. - GONTIER J. - GONTIER J. - GOUGH B. - GOURVES R. - GOURVES R. - GRAVEX R. - GRAVEX R. - GREBOVAL A. - GREBOVAL A. - GREILINGER A. - GREILINGER A. - GREMONT J. - GREMONT J. - GROSJEAN J. - GROSJEAN J. - GROSSE A. - GROSSE A. - GUIYNOT R. - GUYADER J. - GUYADER J. - HAMBSCH J. - HEBERT A. - HEBERT A. - HENNINGER C. - HENO A. - HENO A. - HERVE A. - HERVE A. - HINGANT J. - HINGANT J. - JACOBY P. - JAFFRY F. - JAFFRY F. - JOUGLA M. - JOUGLA M. - JOURNAU P. - KERGOAT F. - KERGOAT F. - LABAT P. - LABAT P. - LACOMBE C. - LACOMBE C. - LAMANDE G. - LAMANDE G. - LAMAQUE L. - LAMAQUE L. - LANGENFELD H. - LANGENFELD H. - LE BAS R. - LE BEC J. - LE BEC J. - LE BIDEAU Y. - LE DEM A. - LE FAOU G. - LE FAOU G. - LE HOUEROU J. - LE HOUEROU J. - LE MERRER Y. - LE MERRER Y. - LE NOTRE H. - LE ROUX F. - LECHEVERI F. - LEGRAND E. - LEGRAND ?. - LEMONNIER R. - LEMONNIER R. - LEOQUET J. - LEOQUET J. - LEOST R. - LEOST R. - LIRON J. - LIRON J. - LORANT A. - LORANT A. - LUCINI L. - LUCINI L. - MANTEL L. - MANTEL L. - MARAIS E. - MARAIS E. - MARTIN G. - MARTIN G. - MASSALOUX A. - MASSALOUX A. - MAXORIL Y. - MAZZA A. - MAZZA A. - MEILLIER A. - MEILLIER A. - MICHAUT P. - MICHAUT P. - MILLET J. - MILLET J. - MONSELLO F. - MONSELLO F. - MORCEL L. - MOTTE M. - MOTTE M. - NICOLAS J. - NICOLAS J. - OLLIVE R. - PARMENTIER J. - PARMENTIER J. - PELLETIER F. - PENNAMEN G. - PENNAMEN G. - PERSON Y. - PERSON Y. - PICABEA L. - PICABEA L. - PICARD E. - PICARD ?. - PIERRE R. - PIERRE R. - PINAULT H. - PINAULT H. - POGGIOLI J. - POGGIOLI J. - PREMONT L. - PRIOL J. - PRIOL J. - PRUDOR P. - PRUDOR P. - RASO P. - RASO P. - RENAULT R. - RIVIERE E. - RIVIERE E. - RIVOALLAN J. - RIVOALLAN J. - ROSENBERG E. - ROSENBERG E. - ROSSIGNOL G. - RUELLOU E. - SAGET A. - SAGET A. - SALAUN J. - SALAUN J. - SANTOS L. - SANTOS L. - SANTOT R. - SANTOT R. - SPIELMANN A. - SPIELMANN A. - TRICOT R. - TRICOT R. - VAN BELLINGEN R. - VIGNEUX J. - VIGNEUX J. 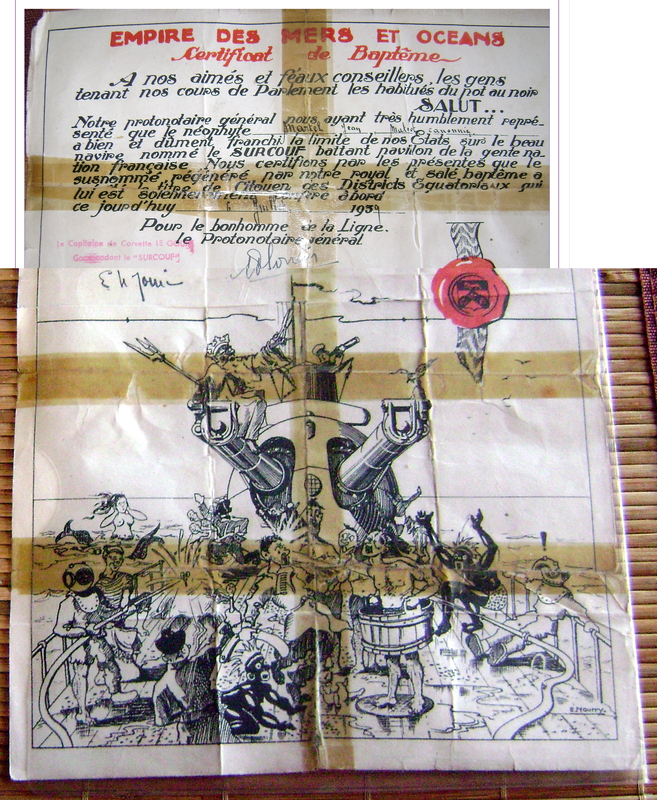 - WACHEUX H. - WACHEUX H. - WARNER H.
03/1938 Ne peut, contrairement à ce qui était prévu, faire escale à Casablanca en raison de l'état sanitaire dans ce port (typhoïde) et poursuit sa croisière directement vers Fort-de-France. 01/05 Arrivée à Dakar, où le SURCOUF reste dix jours. Il visite ensuite Conakry, Port-Bouet, Lomé, Cotonou, Douala, Libreville, Port-Gentil et Pointe-Noire, où il reste chaque fois deux ou trois jours. 01/07 Retour à Brest du Surcouf après sa croisière dans l'Atlantique. 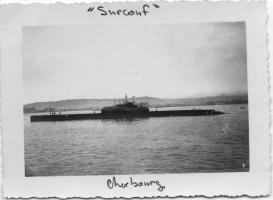 07/03 Le SURCOUF appareille de Brest pour une croisière de quatre mois sur les côtes de l'AOF et de l'AEF. Il doit relever les sous-marins de 1e classe PÉGASE et MONGE à la base de Douala. 29/09 Escorte le convoi KJ2, appareillé de Kingston, à destination de Brest. 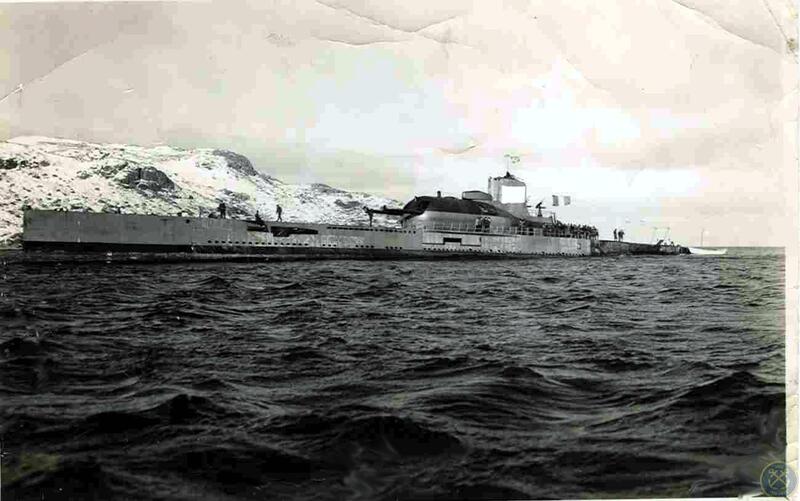 18/02 Perte du sous-marin - La version la plus courante de sa disparition concerne son abordage par le cargo américain THOMSON LYKES. Une autre version fait état d'un bombardement par un avion américain. À partir du point donné par l'Amirauté britannique, le SURCOUF était à 55 nautiques, à 22H20, dans le nord du THOMPSON LYKES qui déclare l'abordage à 22H30. 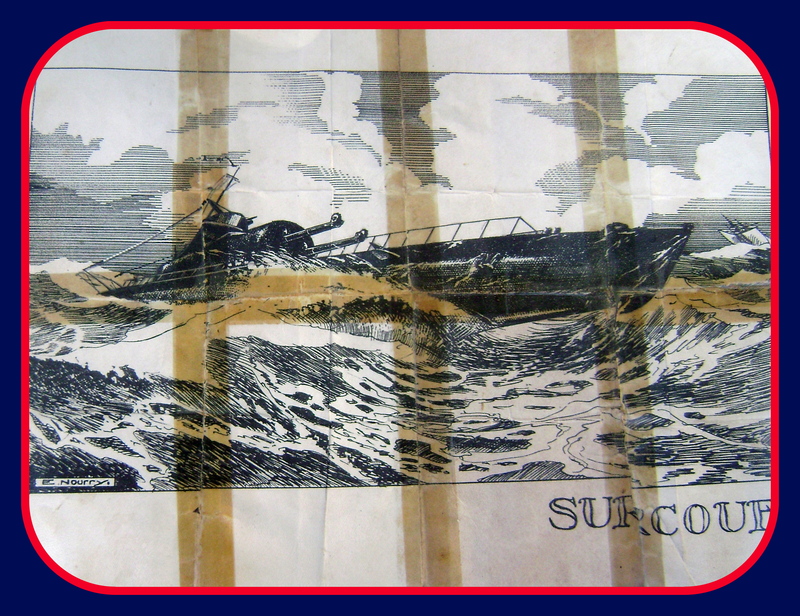 De plus, la route du cargo est au 356 et celle du SURCOUF au 190, c'est-à-dire deux routes presque parallèles, en sens inverse. Or, tous les témoins de l'abordage déclarent que l'abordé passa de tribord à bâbord. Pour le SURCOUF, une présentation sous cette inclinaison est exclue. La longueur du cargo est de 125 mètres mais celle du SURCOUF est de 110 mètres. Les tonnages sont de 4 700 tonnes pour le cargo et 3 300 tonnes pour le sous-marin. 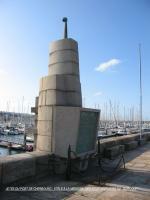 Les tirants d'air des deux passerelles sont identiques, le pont du sous-marin se trouve 2 mètres au-dessus de la mer. Les témoins confirment que l'abordé était bas sur l'eau et qu'il disparut sur l'avant de la passerelle, c'est à dire à 40 mètres depuis l'étrave (le SURCOUF mesure 110 mètres). Lors du passage au bassin, aucune trace de dégât ne fut relevé au-dessus de la flottaison et la vitesse du cargo fut à peine ralenti lors du choc. Or, si le pont est à 2 mètres au-dessus de l'eau, l'ensemble tourelle-baignoire est à 7-8 mètres de haut par rapport au pont, sur 30 mètres de long. La coque épaisse du sous-marin en acier à 50 kg a une épaisseur de 22 millimètres contre 6 millimètres pour celle du cargo. Les dégâts sur le cargo étaient insignifiants par rapport à ceux des destroyers abordant volontairement les U-Boot. Le SURCOUF possédait 54 tonnes de munitions d'artillerie. Pourquoi n'ont-elles pas explosé ? Enfin, sur les 350 m3 de gas-oil, près de 80 tonnes avaient été consommées. Les 270 tonnes restantes n'ont jamais été aperçues en surface. Quant au pont en bois, aucun morceau n'a été repêché. Un simple sac de ciment avait suffi à boucher le pic avant du cargo. Aucune analyse de peinture sur la coque du cargo n'a été effectuée. Aux Caraïbes, l'US Army Air Force avait basé, après l'attaque de Pearl Harbor, deux escadrilles, la 6ème (bombardement lourd) et la 3ème (bombardement). À 07H13, le 19 février, le quartier général signala à la base d'attaquer un sous-marin dans le carreau R-13, soit à quelques 50 nautiques de Panama. À ce moment, le SURCOUF se trouvait entre 30 et 50 nautiques de Panama, selon sa vitesse, protégé par son sanctuaire (une bande de 15 nautiques sur chaque bord et 120 nautiques à l'avant et à l’arrière de sa route). 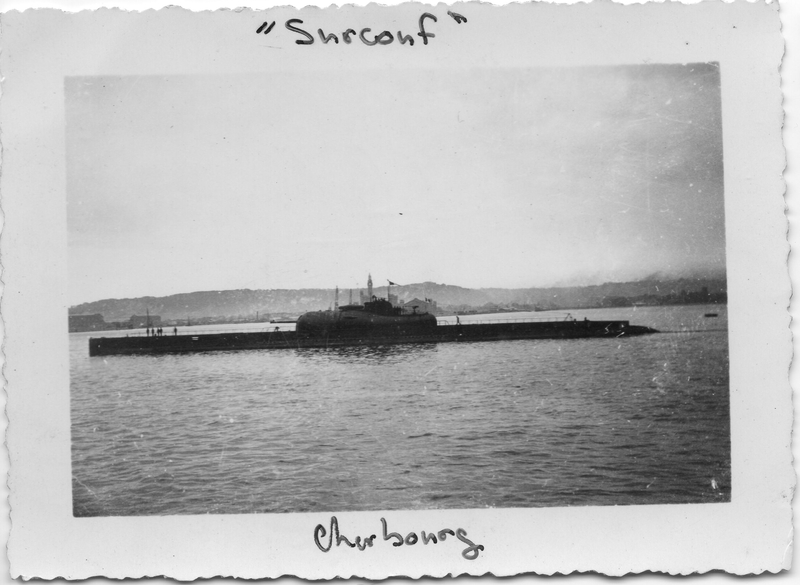 Ignorant cette restriction, les trois avions (deux A-17 et un B-18) attaquèrent un « very large submarine » avec huit bombes de 50 kg. Le premier avion (pilote STALEY) rapporta qu'il l'avait observé, bas sur l'eau, comme sur le point de plonger, et ayant lancé ses quatre bombes, estima qu'il l'avait touché et, tournant pendant dix minutes, le vit disparaître (déclaration de STALEY en 1990, confirmée par le journal de la 3ème escadrille). 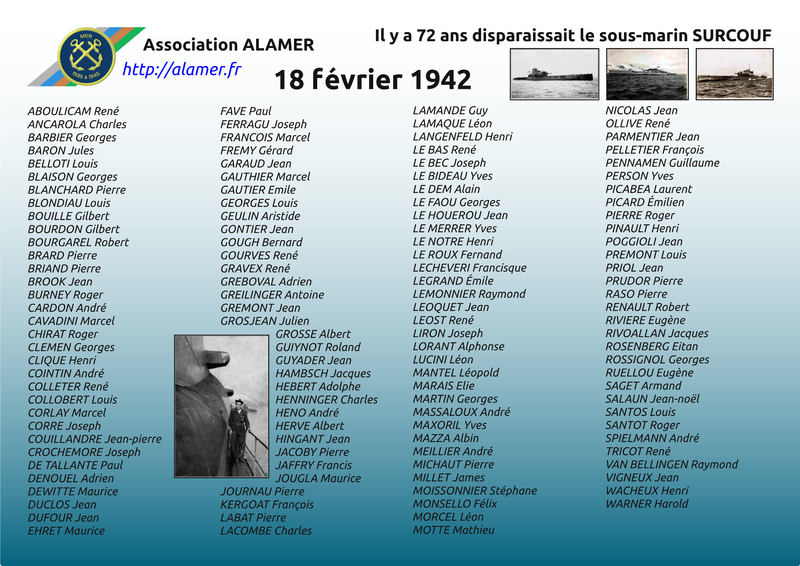 Selon les habitants de San Blas (50 nautiques à l'est de Panama), les corps de plusieurs marins furent repêchés sur la côte en février 1942 et enterrés dans le cimetière du village. L'amiral Émile MUSELIER en accord avec le général Charles DE GAULLE décide de rallier Saint-Pierre & Miquelon à la France Libre. 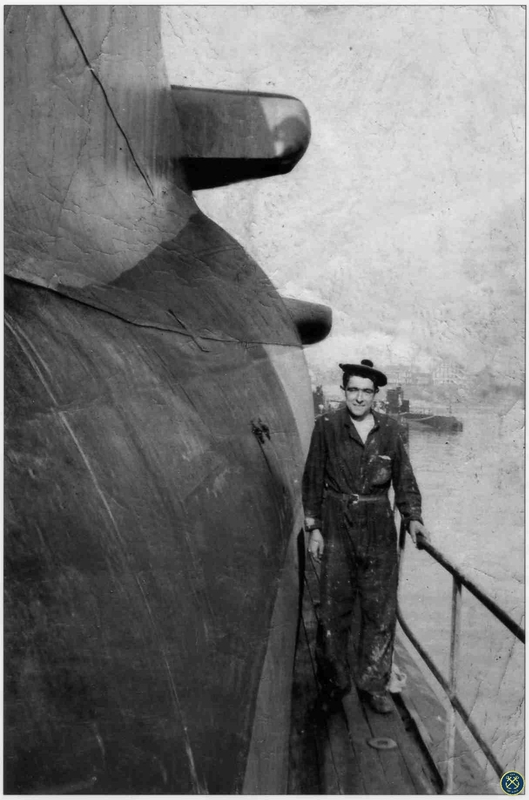 Le 22 décembre les trois corvettes MIMOSA, ALYSSE, ACONIT & le croiseur sous-marin SURCOUF appareillent d'Halifax (Canada) avec à leur tête l'amiral Émile MUSELIER. L'objectif officiel est de procéder à des exercices. Le 24 décembre la flotte arrive l'entrée du port de Saint-Pierre. L'amiral Émile MUSELIER décide d'entrer dans le port. 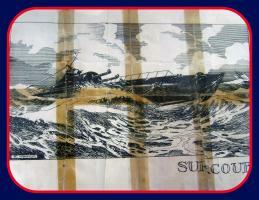 Le SURCOUF restera en rade en raison de son grand tirant d'eau. L'ALYSSE s'amarrera à l'extérieur, à l'appontement frigorifique afin de pouvoir y organiser une tête de pont en cas de difficultés. Le MIMOSA et l'ACONIT accosteront à l'intérieur. Les ordres sont précis. Il ne doit pas être fait usage des armes sauf en cas d'absolue nécessité et de légitime défense. D'ailleurs, à part quelques irréductibles, une grande majorité de la population est favorable au ralliement des îles à la France Libre. En Grande-Bretagne en juillet et août 1940 Étienne SCHLUMBERGER tente de persuader les marins français rassemblés par les anglais dans des camps près de Liverpool de continuer le combat. Lors de l'expédition de Tentative de ralliement du Sénégal, il fait parti, le 23 Septembre 1940, de l'équipe des parlementaires conduite par le commandant Georges Thierry D'ARGENLIEU. La vedette à bord de laquelle il a pris place est atteinte de plusieurs balles : le commandant Georges Thierry D'ARGENLIEU est blessé. Il tente ensuite de débarquer à Rufisque (Sénégal), au cours d'une riposte de la terre, trois de ses hommes sont tués. Le COMMANDANT DUBOC amène le général Charles DE GAULLE à Douala le 8 Octobre. Il embarque sur le SAVORGNAN DE BRAZZA avec le commandant Georges Thierry D'ARGENLIEU pour le Gabon : le BOUGAINVILLE, aviso de « Vichy », qui avait ouvert le feu, est malheureusement détruit le 09 Novembre. Il contribue au ralliement de Port-Gentil (Gabon). En Janvier 1941 il remplace comme officier en second le lieutenant de vaisseau Georges ROSSIGNOL désigné pour le SURCOUF. Ce dernier disparaîtra avec le SURCOUF. 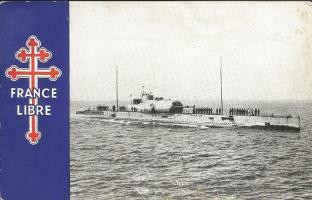 Le COMMANDANT DUBOC part en mission en mer rouge : Massawa (Érythrée) est prise le 17 Avril 1941. Il retourne ensuite vers la Grande Bretagne par La Cap. 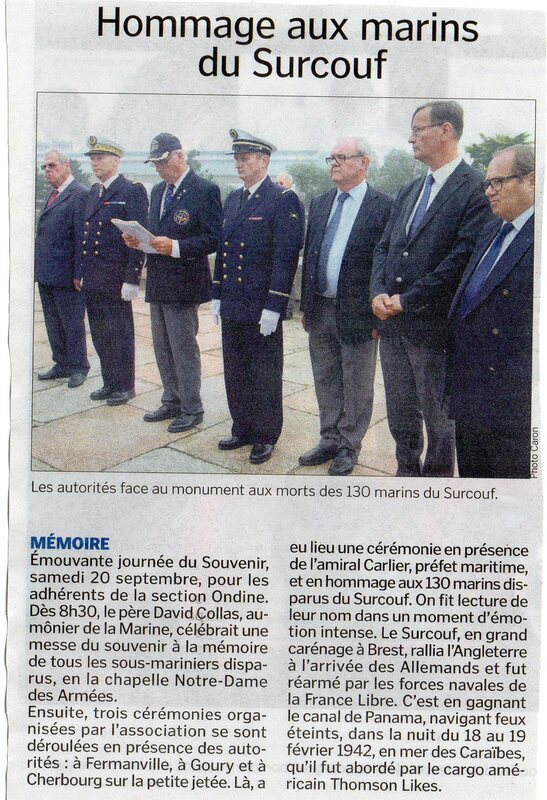 Lors de l'escorte d'un convoi entre Freetown (Sierra Léone) et Gibraltar (Espagne), le 22 Septembre, le cargo SILVER BELL ne peut être sauvé. • les 23 et 24 Octobre 1941 le COMMANDANT DUBOC parvient à sauver soixante dix-sept rescapés. • le 17 Novembre débarquement d'armes et de matériel radio à MEFJORD dans l'île de SENJA. 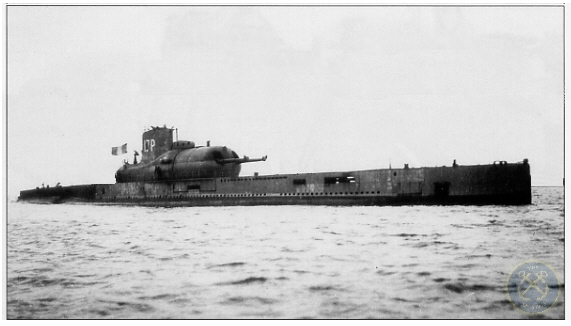 Le 25 Mars 1943, il prend le commandement du sous-marin JUNON. Le 12 Mai 1944, il part pour l'AFRIQUE du Nord. La JUNON est désarmée à Oran (Algérie) le 11 Août. 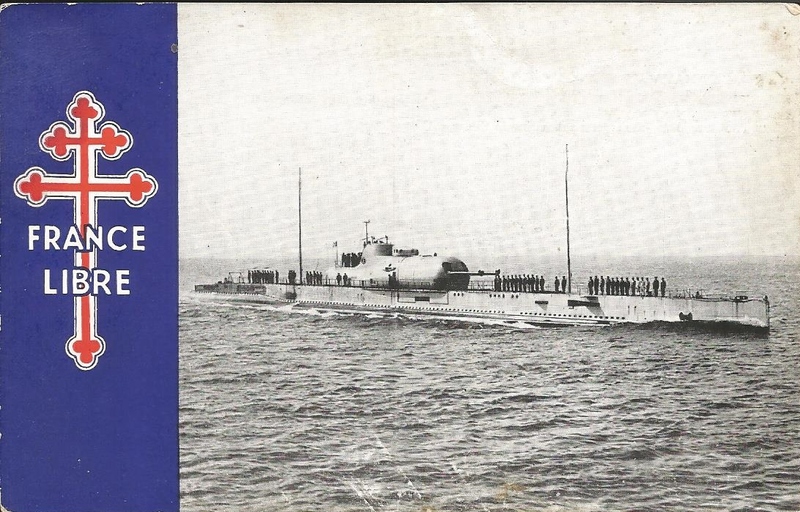 En Novembre 1944 il est nommé au commandement du sous-marin MORSE, en armement, cédé par les Anglais. Il rentre en FRANCE en Janvier 1945. Il fait partie de l'État-Major de l'amiral Nord. Après la capitulation de l'Allemagne, il entre au Haut Commissariat en Indochine comme chef du bureau fédéral de documentation. Il est nommé directeur des études à l'ÉCOLE NAVALE. Il commande le SÉNÉGALAIS puis le KLEBER. 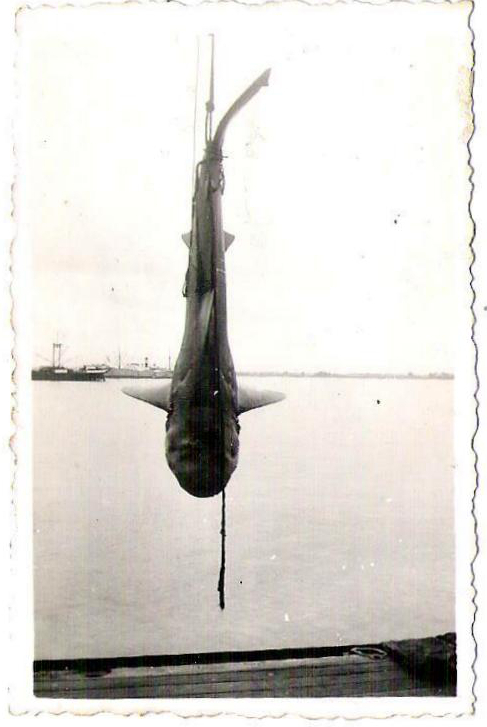 Il quitte la Marine en 1953 avec le grade de capitaine de frégate. 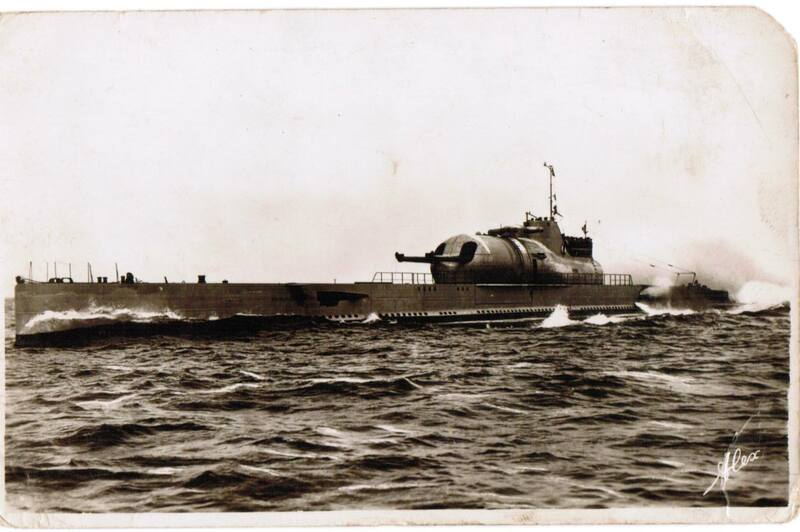 Son pire souvenir est en arrivant à Alger (Algérie) avec le sous-marin JUNON, on refuse de lui serrer la main devant le front des troupes lors des cérémonies officielles.